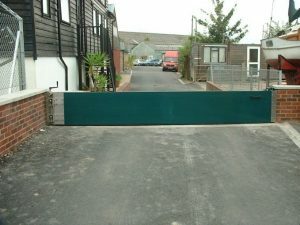 For use in perimeter walls, the swing gate can be fixed permanently in place in preparation for flooding, simply locking into position when required. 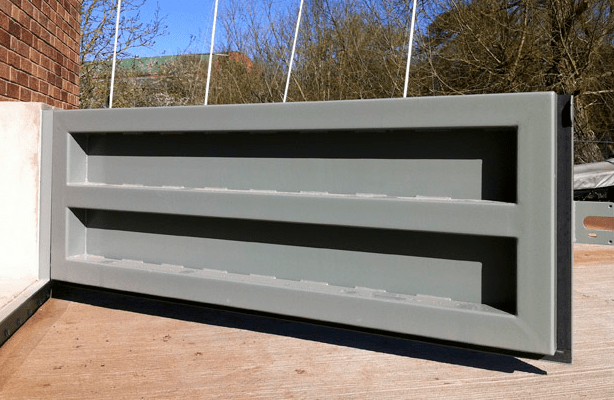 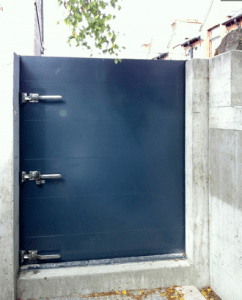 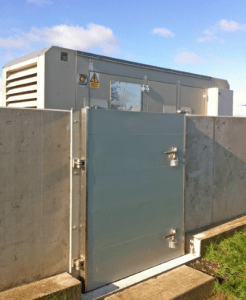 The floodgate is also available semi-permanently installed, depending on the individual needs of the flood risk to the property. 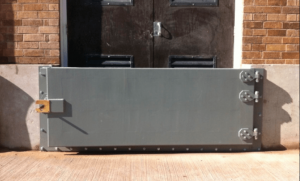 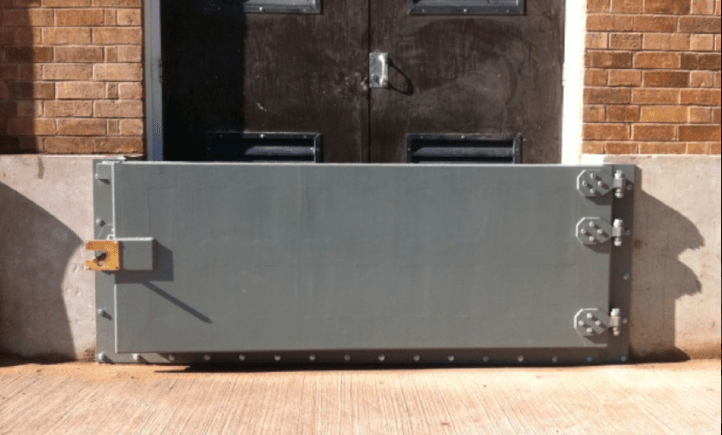 Produced from lightweight aluminium, the floodgate allows easy manoeuvrability, only needing one person to operate and is securely sealed shut with locking lever handles for safety. 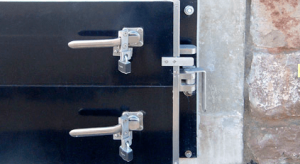 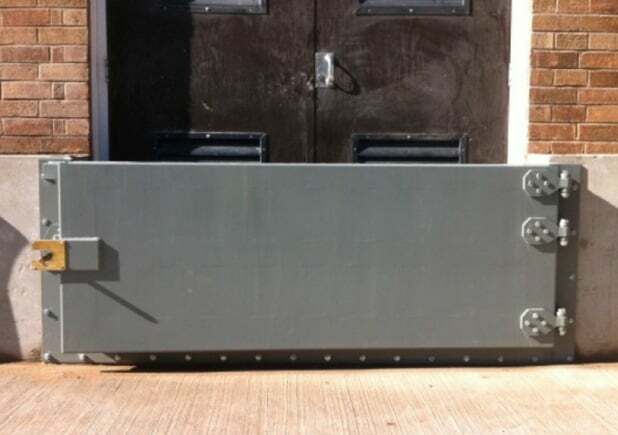 Highly durable, the floodgate fronts a 50-year design life with stainless steel components, making it additionally strong enough for chemical containment. 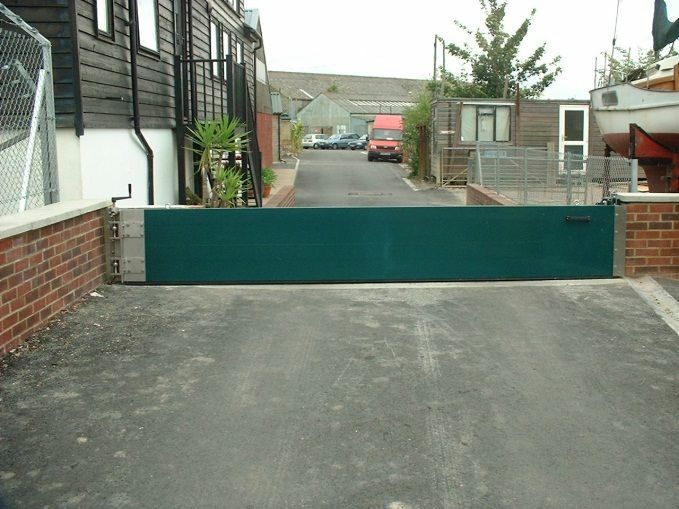 Our swing gate is available in a variety of colours to match the surrounding landscape or architecture and supplied in heights from 600mm to 2100mm.